Few regions of the world have captured the Western imagination as powerfully as the Balkan peninsula. For centuries its social crises and cultural traditions have appalled and enthralled diplomats, journalists, novelists and travel writers, and have inspired an extensive array of books and articles. In recent years authors such as Simon Winchester, Eric Newby and Bill Bryson have all attempted to fathom the region’s complexities, often finding them as alien and mysterious as they were for Lord Byron, Edward Lear, Bram Stoker and Lady Mary Wortley Montagu in the eighteenth and nineteenth centuries. 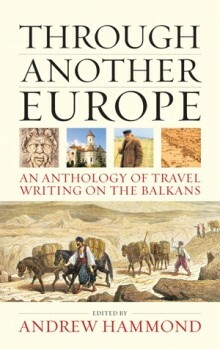 This anthology of travel writings on the Balkans is the first attempt to compile a representative sample of such commentary in a single volume. Taking the seventeenth century as a starting point, Through Another Europe comprises over fifty passages from some of the most interesting and exciting British and American travelogues, many of which are long out of print. The collection includes the staple ingredients of the genre market scenes, mountain treks, military escapades, audiences with kings, meetings with bandits and eye-witness accounts of some of the major events of the last 400 years, from the Ottoman atrocities to the communist uprisings, the Eastern Crisis to the 1989 revolutions, the First and Second World Wars to the Yugoslav Wars of the 1990s. While placing the extracts in historical context, the volume also examines the kind of stock images (both positive and negative) that travellers have relied upon to construct their portraits of Romania, Bulgaria, Albania and the countries of the former Yugoslavia. In this way, this book offers a comprehensive introduction to British and American representation of the region, as well as ideal reading for those seeking an alternative travel companion for their South-East European journeys. Andrew Hammond is a Senior Lecturer at the University of Brighton. His previous publications include The Balkans and the West (2004), Cold War Literature (2006) and The Debated Lands: British and American Representations of the Balkans (2007).